If any of these situations describe you, have we got good news! 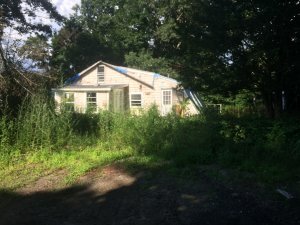 Our purpose at We Buy Houses in Massachusetts is to help property owners escape the burden that their property is causing them. We solve problems, taking your burden on ourselves. If you need to sell fast in Massachusetts, we will help you take control of your situation to help end the stress. Getting you back to enjoying your life. You deserve to know all the options available to you. By filling out the short form found below or giving us a call at 978-712-8250 we can get in contact with you to give you options to sell your house. No pushy techniques or obligations, no fees or hassle. By making sense of the confusion, we’ll present you with options that could change your life and get your situation back to normal. Send us your property’s information via the form and we’ll be in contact promptly (usually 24 hours or less) – we’ll give you a call to discuss a solution to your current situation. To be clear, this is 100% free with no fees, no obligations, no B.S. We will do the work to quickly and easily sell your house in Massachusetts.